I'm thinking of doing a travel series of small paintings from photos I've taken during my rare trips around the world... There haven't been many but each trip was always special to me and I think it'll be fun to try and tell a little about the places I visited with these pieces..
Once it's dry enough I'll post a clearer scanned version of this piece on my website!.. p.s. 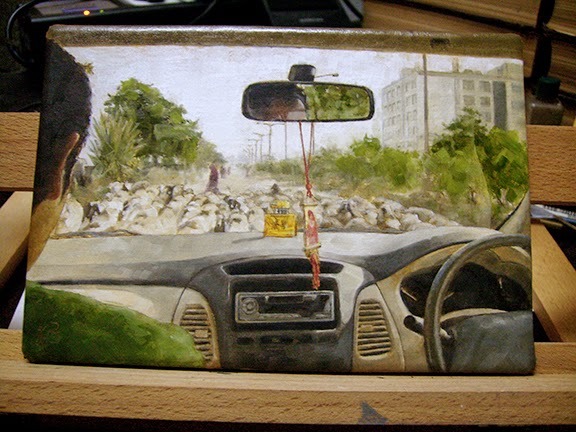 Check out a 'Inside Looking Out in India' for the final picture, wip's or to purchase!